It isn't a good day for a child when they find out they've been diagnosed with acute lymphoblastic leukemia, a cancer of the blood and bone marrow - especially when that child is only 12 years old. But that's exactly what happened to Melanie. Acute lymphoblastic leukemia (also called ALL) is an acute type of leukemia, which means it can progress quickly. Without treatment, it can be fatal within a few months. Fortunately for Melanie and her family, the cancer was diagnosed in time and treated at Nicklaus Children's Hospital (formerly Miami Children's Hospital). But that was just the beginning of Melanie's battle. 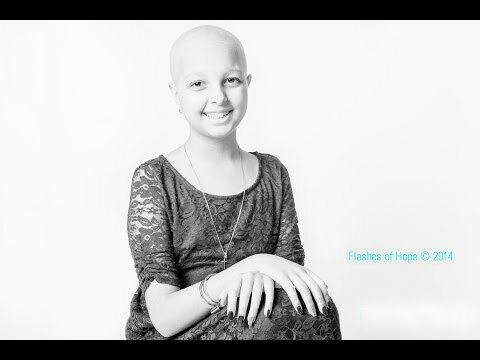 She is now fighting back against ALL, the most common type of cancer in children, and is determined to make a difference by raising awareness for pediatric cancer and inspiring others to live life to the fullest. Melanie has been named the Miami Children’s Health Foundation 5K Hero, and will be putting on her sneakers in the hopes of walking as far as she ever has since her diagnosis and treatment while encouraging the community to participate in the event to support the patients and families at Nicklaus Children’s Hospital and hopefully put an end to pediatric cancer for good. The Miami Children’s Health Foundation 5K #MCHF5K will take place on Saturday, September 19, 2015. Help Melanie reach her goal - HERE'S HOW. Melanie's Story is the latest in a series of videos I've been producing for Miami Children's Health Foundation who raise funds and awareness for for Nicklaus Children's Hospital (formerly Miami Children's Hospital). To help children like Melanie, please visit www.mchf.org/donate.